Nishinoshima Half Marathon 2018 is going to be held on 14 October 2018 (Sunday). Come join us on Nishinoshima Island and enjoy the majestic landscapes of Kuniga Coast and Dozen Caldera as you run along the 10km and Half Marathon course! Nishinoshima Half Marathon will be held in Urago area of Nishinoshima Island. Runners of all nationalities and are capable of completing the race are welcomed to join the Nishinoshima Half Marathon. Pre-schoolers are also welcomed to participate in the 3km Course, together with their parent / guardian. *Please be noted that due to the design of the courses and safety, wheelchair racers will not be admitted. Nishinoshima Half Marathon has a maximum time of 4 hours. 10km has a maximum time of 4 hours. 3km has a maximum time of 2 hours. *All races will finish at 13:00. All the runners that will participate will receive a Nishinoshima Half Marathon towel and souvenir as a proof that you have completed the race. *Family Run (pair) participants will receive 1 set of prizes only. There will be chip timing at the Nishinoshima Half Marathon. The chip will be attached to the bib number. Each runner must attach the number on the front of their shirts and it must be displayed throughout the running. The bib number should not be folded. Please return the chip after the race; there is no need to return the bib number. Every runner will receive gross and net times. *A penalty of 2,000 JPY will be charged if you lose your chip or fail to present the chip at the collection point. The bib numbers can be picked up at the Runners’ BBQ Dinner Party reception on 13 October 2018 (Saturday) from 13:00 to 18:00 and on race morning from 07:00 to 08:00. *Runners’ BBQ Dinner Party is optional. More details below. The dinner party will be held on 13 October 2018 (Saturday) from 18:00 to 20:00 at Urago area of Nishinoshima Island. Friends and family of runners are also welcomed at the party. *Children under the age of 13 will not be admitted. Pre-schoolers may join the party for free but must be accompanied by a parent / guardian during the party, and drinks only will be served to the pre-schoolers. You can pay the entry fee by bank transfer. Credit card payment, convenience store payment and electronic banking are also accepted for applications via RUNNET Japan. No cancellations or transfer of participation and change of events will be accepted once the application is submitted. All accommodation arrangements will be made by Nishinoshima Tourism Association. The Participant engages to follow the organizer’s rules and instructions on the day of the event. Runners will participate at their own responsibility to the event. The organizer has taken sport accident insurance for any accidents or injuries caused by runners. The first aid point will be located in the finish area, and a first aid vehicle will accompany runners on the way.  © Team Oki-Nishinoshima Like! All rights reserved.